Our daughter put one day aside before the wedding just for the family, this also included a very close friend that grew up with them and is still a very close friend of the family. I had wanted to see the Holt Renfrew windows and that was part of our outing. We all went to Yorkville, looked throughout a number of shops, and then had a very long and relaxing lunch. We were waiting at a Starbucks for Dan to meet up with us, he got lost on the subway, so I went outside and photographed several shop windows. 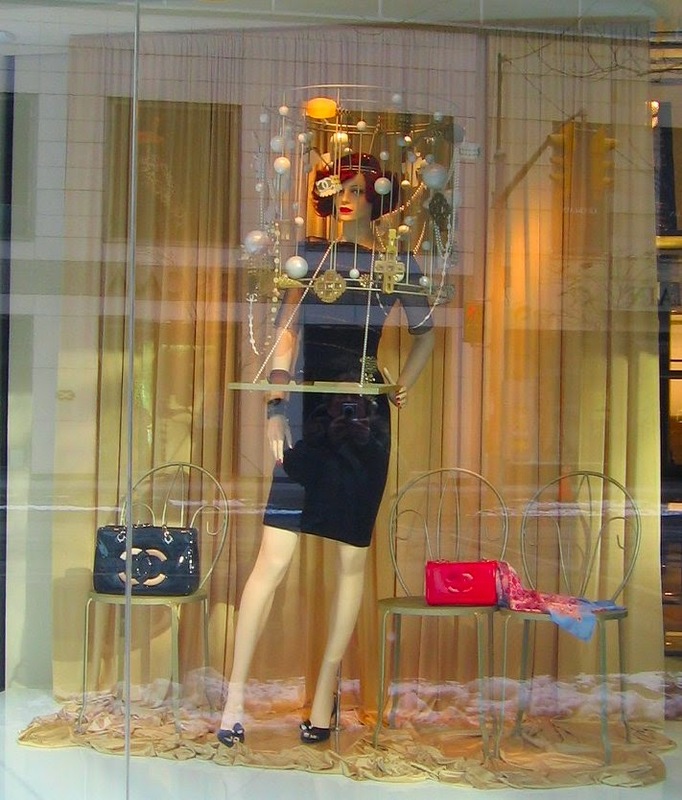 These two Chanel windows were across the street. The windows are striking close up and also from across the street; very haute couture, very avante garde, but at the same time they had a sense of Christmas fantasy. 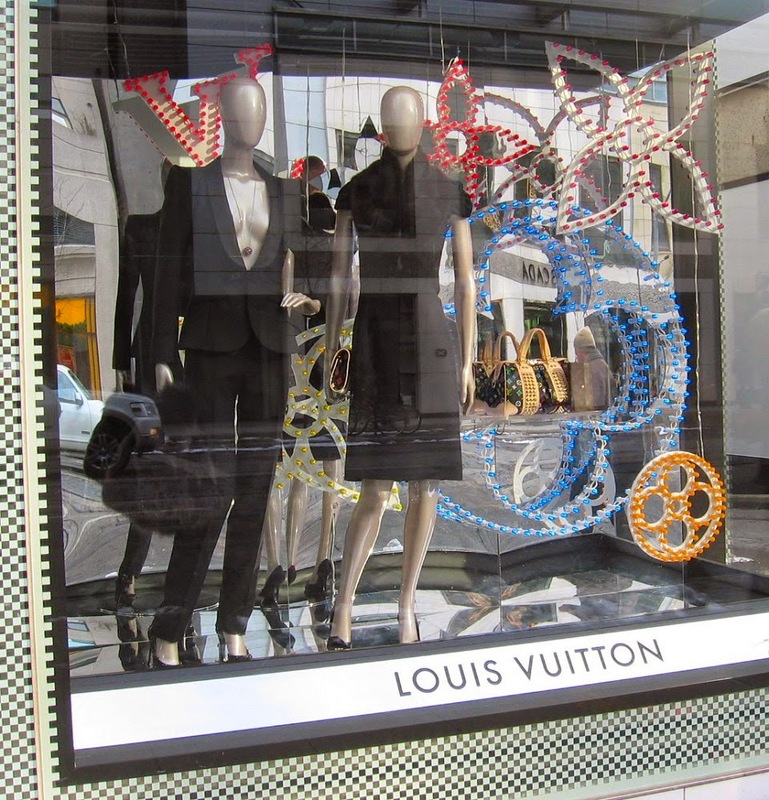 The Louis Vuitton windows were interesting but not fabulous, Christmas is about fantasy. When I was going through the images that I had taken in Yorkville I was happy to see that I had two pictures of this window but unfortunately I do not know what the name of the store is. The pictures do not do it justice. The back and sides of the window are hung with silver chain; the same silver chain that is used for keeping sink stoppers within easy reach. Hung in front of this is a 6' silver wreath. Three silver bar carts are at the front of the window. On top of each cart is a single pair of shoes and on the shelf below are other accessories. Three different changes of light gently play across this silver window display to great effect. 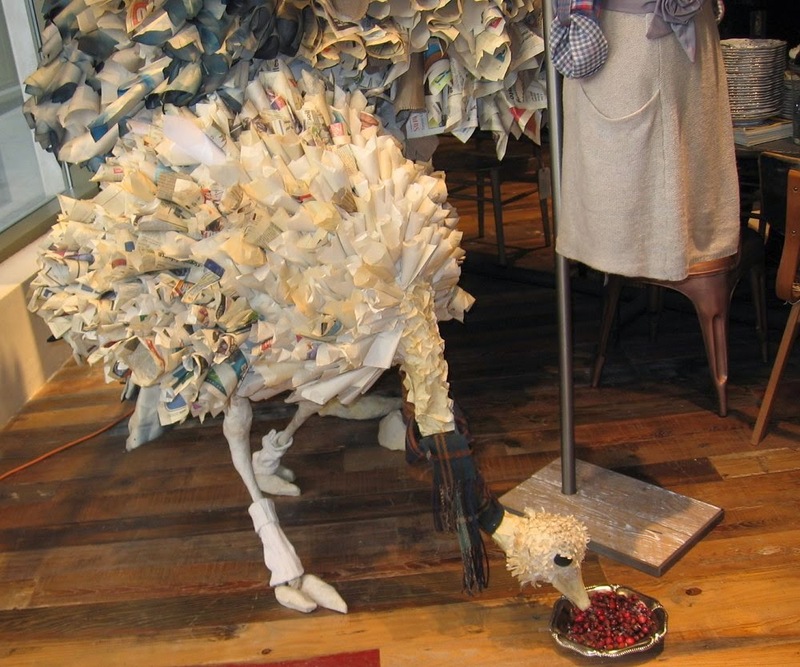 I have seen pictures of Anthropologie in New York on the Internet. I have seen pictures of the new Anthropologie shop in London England. I have finally seen Anthropologie first hand. There is an Anthropologie in Yorkville. I love this store. It is about fantasy. It is about drama. It is about fun. The store is two floors high with large windows across the street level and across the second floor level. 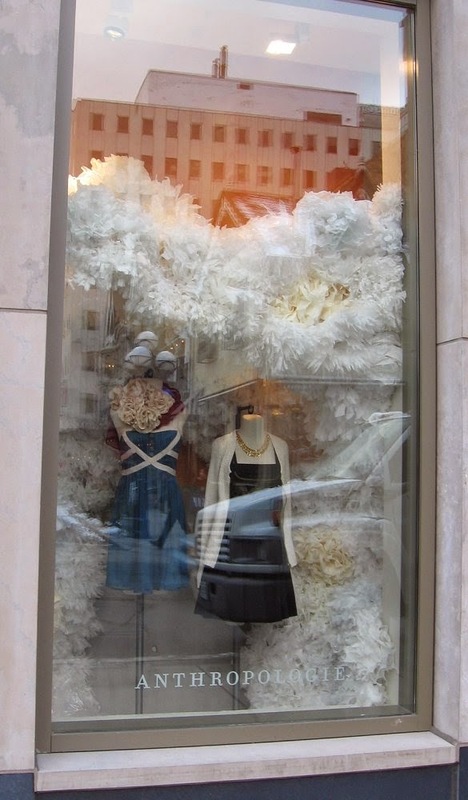 I'm not sure if those big white poufs in the window are supposed to be snow or giant garlands but it doesn't matter. Each garland is made of white and cream tissue paper that is cut, fringed, and scalloped and then made into giant pompoms. Clear plastic like that used for dry cleaner bags is also treated the same way and tucked occasionally here and there into this gigantic garland that snakes across the entire two floors of windows. One or two bust forms are positioned in each window to dramatic effect. This shop is like walking into an eccentric scavenger’s delightful vision of the beautiful by using junk and the imperfect to create a delightfully unusual Aladdin’s cave of treasures. 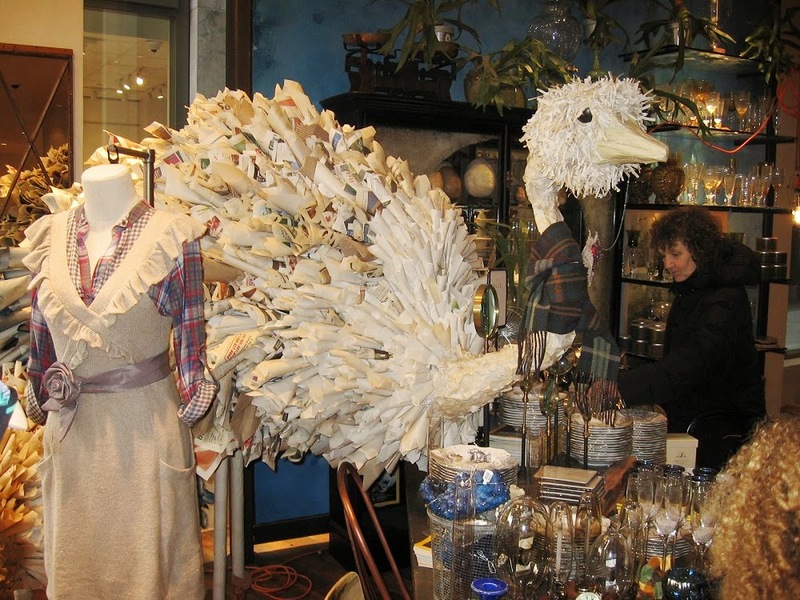 One of the wonderful ostriches created from paper cones. 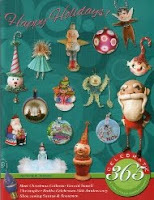 Can you tell that I am in love with this store and the design team behind it? 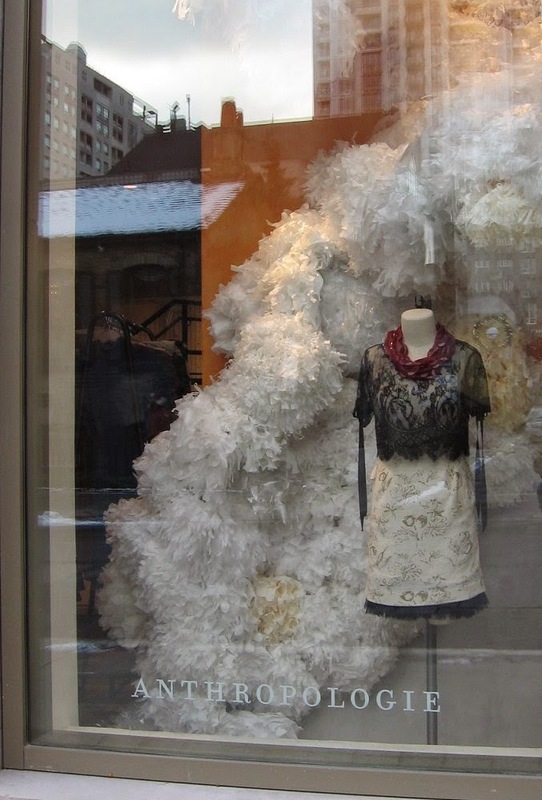 This store would not be what it is without the vision of its designers. Another of the ostriches having a nibble from the plate of berries left out for it. Just in behind these two birds was a third ostrich his head at ground level peeking out the corner window from underneath the giant garland. I am in love and inspired. 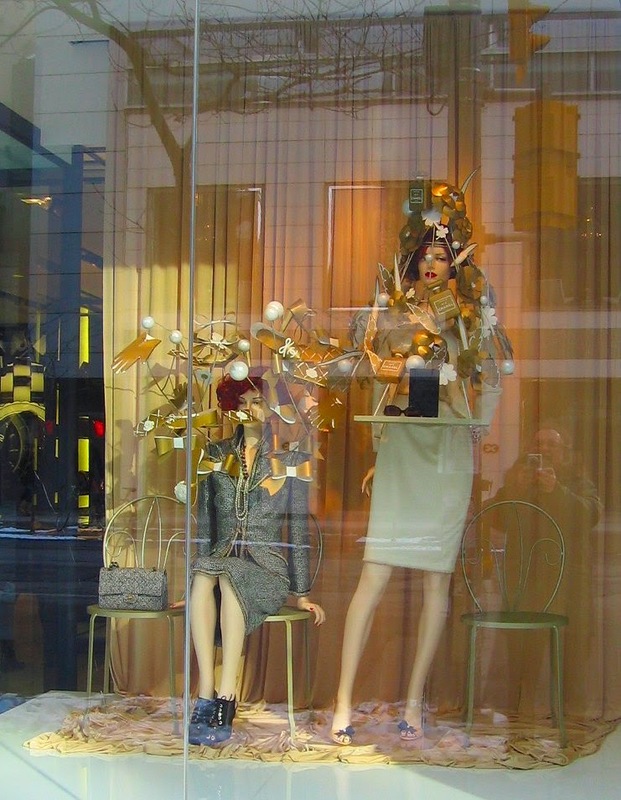 In my next post of holiday windows I'll show you the Holt Renfrew windows.